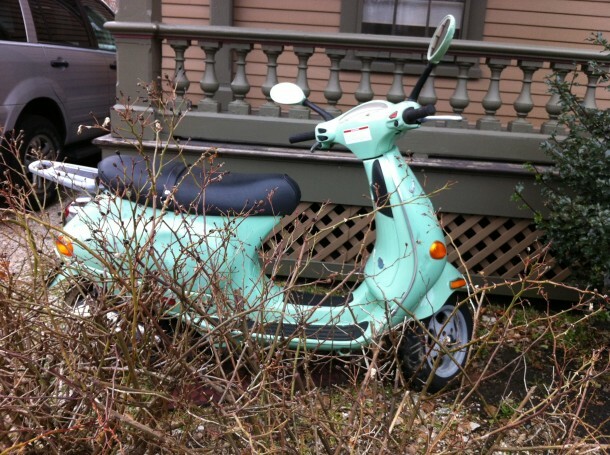 There was something about this scooter parked by the side porch of a Newport, Rhode Island victorian home that grabbed me. Perhaps somewhat vicariously I wish that had a scooter to bop about town, but my practical side realizes that just isn’t the right transportation for my location. Nonetheless, I can dream.